Thank you for considering SyncScribe. 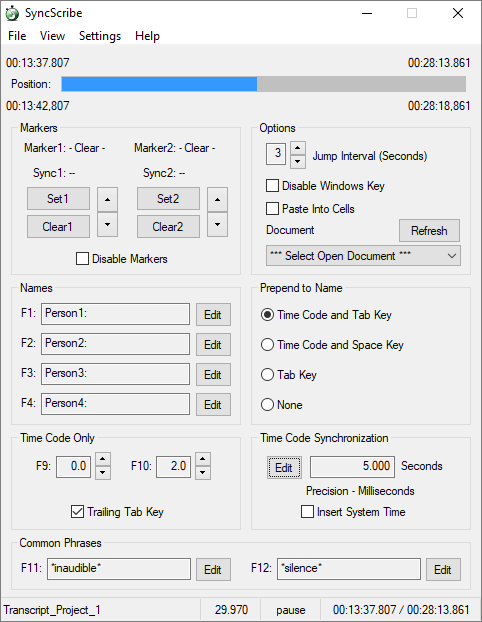 The quintessential Windows tool for creating time coded video transcript documents. New options and features added. Runs on Windows OS (XP, Vista, Windows 7, Windows 8, and Windows 10). SyncScribe contains no spyware, ads, or user tracking. Read the SyncScribe End User Licence Agreement here. 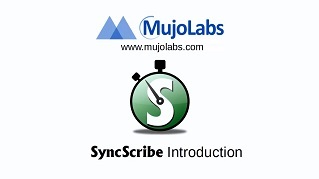 After the trial period, you may continue using SyncScribe by purchasing a license. The installers are digitally signed by a Comodo issued MujoLabs Inc. digital signature. SyncScribe is excellent for transcribing video or audio files into time-coded text.